There are many ways to increase your brands recognition with different marketing tools. One of the best ways to get more attention for your company is to use promotional products. Darlie, a provider of toothpaste is currently running a campaign in China to promote their toothpaste. 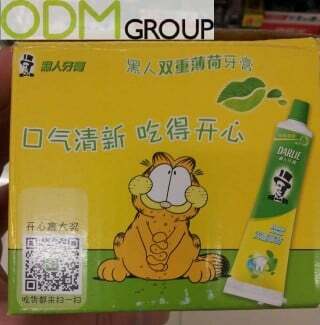 They are offering a free Garfield mug when buying their toothpaste. The perfect use of promotional products is to use them as gift with purchase. 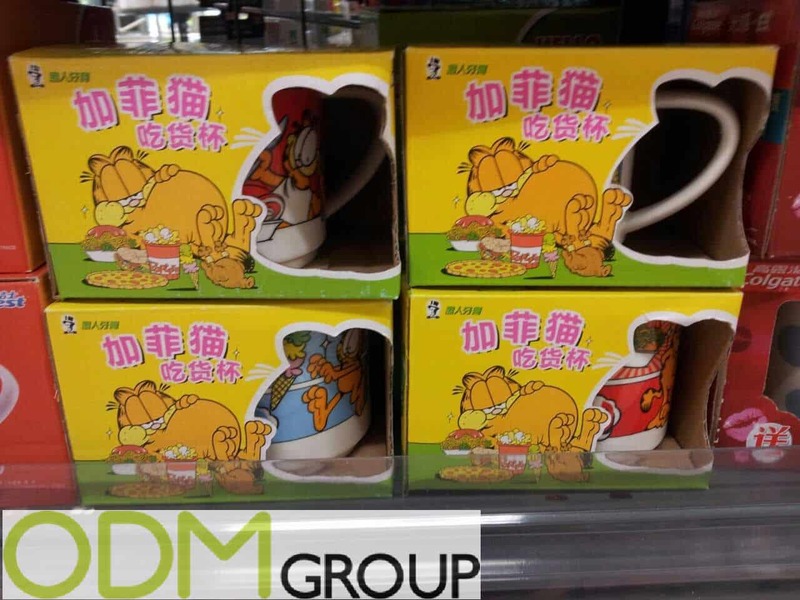 China is famous for their on pack gifts in supermarkets. To raise sales, an on pack promotional gift like branded mugs are a fantastic way to gain new costumers. How do you get one of the branded mugs? 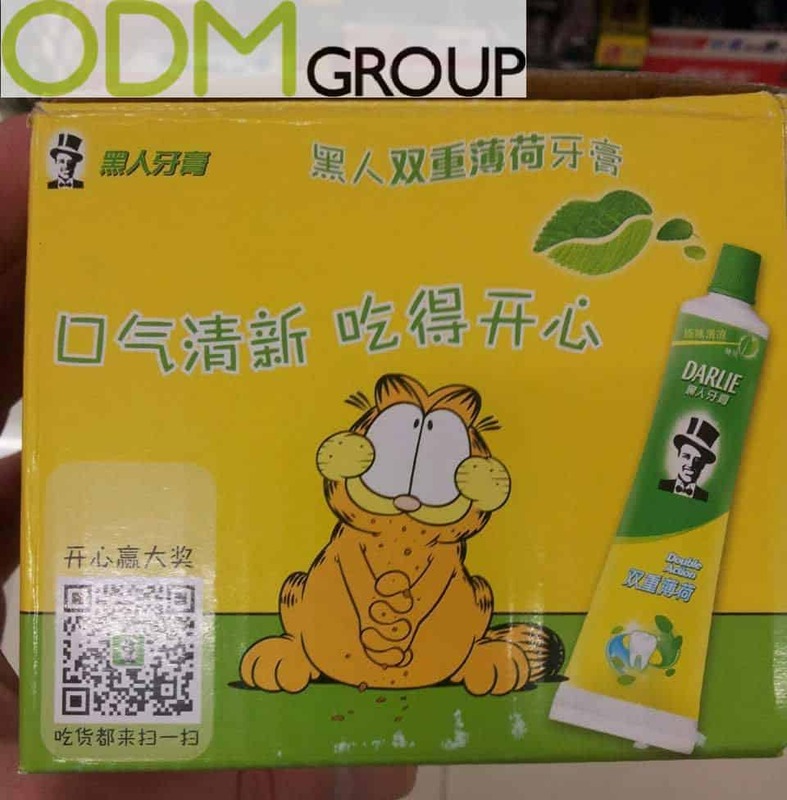 Darlie offer their toothpaste in special Garfield packages. That way the costumer gets the branded mugs directly as on pack gift. 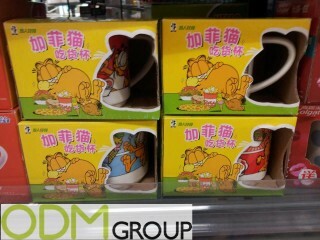 So you only have to buy one of the Garfield packages in the store and get one of the branded mugs for free. What are the benefits of this campaign? The Garfield packages are much more conspicuous than normal packages. That way the company increases the cognition of their product directly in the store. Furthermore, the sales will raise because of the free on pack gift. Once the costumer gets a free gift with the purchase of the toothpaste, they will automatically connect the feeling of getting a present with the brand of the toothpaste. This will improve costumer retention and you get more new costumers. Promotional products are generally a great way to increase brand awareness. If you want to learn more about promotional products, and how they can help you with your business, feel free to contact us.